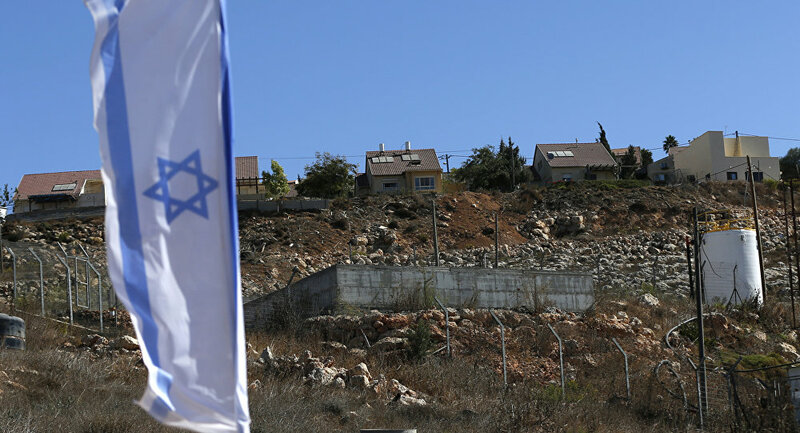 MOSCOW (Sputnik) - The European Union considers Israeli plans to build new settlements in the West Bank illegal, as the move undermines the possibility of the lasting peace between Israel and Palestine, the EU External Action Service (EEAS) said Thursday in a statement. "This week the Israeli authorities have advanced plans for over two thousand settlement units across the West Bank. The European Union's position on Israeli settlement construction and related activities is clear and remains unchanged: all settlement activity is illegal under international law and it undermines the viability of the two-state solution and the prospects for a lasting peace," the statement read. On Wednesday, the Israeli Defense Ministry approved plans for building nearly 2,200 housing units. The majority of the buildings will be constructed east of the West Bank security fence. On December 13, Israeli Prime Minister Benjamin Netanyahu said Israel would construct 82 new housing units after two Israel Defense Forces soldiers were killed and two others injured in a shooting attack. In December 2016, the UN Security Council adopted a resolution, expressing concern over Israel's continuing settlement activities, which "imperiled the viability of the two-state solution based on the 1967 lines."